Innovative training targets for diagnosing and correcting common pistol, rifle, and shotgun shooting mistakes. 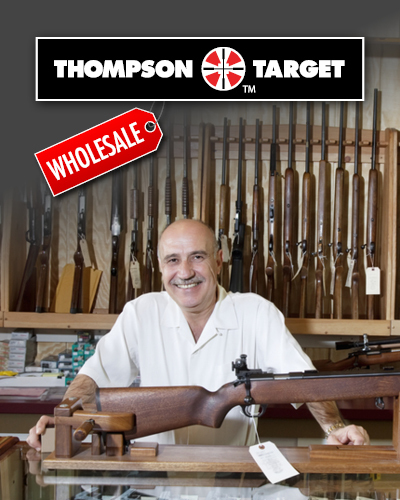 If you go to the range to improve your shooting, then you need to be using Thompson's line of detailed shooting diagnostic targets. Our diagnostic targets are based on decades of proven shooting techniques. However, we have broken new ground as never before has this information been compiled and precisely printed on a high quality, high visibility shooting target. 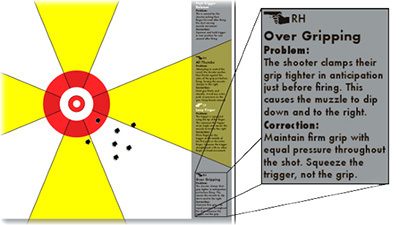 These training targets help diagnose and correct common pistol, rifle, and shotgun shooting errors. The Group ShooterTM allows the shooter to identify the sector on which his/her shot or group lies and follow that sector to the edge of the target for concise instructions on how to improve accuracy.